Pumpkins are king in Pennsylvania and farms in Southwestern Pennsylvania have plenty of pumpkins available for purchase each fall. Take a hayride to the pumpkin patch where you can pick your own pumpkin, or sort through piles of pumpkins to find your favorite. Most of these pumpkin patches hold pumpkin festivals on the weekend, where you can enjoy favorite fall foods, pet farm animals, paint a pumpkin, get lost in a corn maze, and enjoy other fun fall activities. This Butler County farm in Portersville offers hayrides to the pumpkin patch, hay tunnels for the little ones to crawl through, farm animals to pet, a hay maze to get lost in, and haunted hayrides to the Fright Farm once the sun goes down. Cheeseman Pumpkin Festival activities are weekends only, while the Cheeseman Fright Farm is open Saturdays & Sundays, plus select Thursdays and Fridays. This small family farm located in Valencia, Butler County, Pennsylvania, has a great Fall Festival with scenic hayrides to the pumpkin patch, a cornstalk maze, farm animals and concessions. On October weekends the Harvest Valley Farms Fall Festival offers even more pumpkin fun, including pumpkin bowling, pumpkin carving, and live country music. Free admission! Pumpkins and other produce from Harvest Valley Farms are also sold at several Pittsburgh Farmers' Markets. Fall at Hozak Farms, a family run Christmas Tree Farm and Pumpkin Patch in Clinton, PA, near the Pittsburgh airport, brings the Hozak Farms Fall Festival with scenic hayrides, pumpkin picking, pumpkin painting, pony rides, face painting, musical entertainment, and refreshments. Held weekends in October, plus Columbus Day! This year-round greenhouse, farm market and bakery in Clinton, Pennsylvania, hosts Janoski's Pumpkinland on October weekends, with hayrides to the pumpkin patch, pick your own pumpkins, a straw jump area, corn maze, pumpkin painting, fall concessions, and a petting zoo. Pumpkins available weekdays at the garden center. Pumpkins are sold by the pound at Reilly's Summer Seat Farm each fall. Located in Pittsburgh's North Hills, this farm and garden center also operates the Harvest Festival of Fun on October weekends with hayrides to the pumpkin patch, a Boo Barn, cornstalk maze, marshmallow roast, pony rides, Balloon Typhoon, and other fun fall activities. Six generations have grown this Wexford family farm into a huge spread, with over 100 acres dedicated solely to fruits and vegetables. In the fall, their farm market sells pie pumpkins for your pumpkin pies, and also offers free hayrides to the pumpkin patch to pick out your own Jack-o-Lantern pumpkins. Homegrown decorative gourds and Indian corn too! This family-run farm has been growing and selling fresh vegetables in the Pittsburgh area since 1864! Beginning the last week of September and running through the month of October, their fields are filled with a huge selection of pumpkins for your choosing. Other Schramm Farms Fall Fest activities include play hay, a cornstalk maze, cornstalk tunnel, pony rides, hay rides, and fall food and refreshments. Located in McMurray in Peters Township, this popular Pennsylvania farm grows a variety of fall crops, including pumpkins, Indian corn, apples, corn stalks, and gourds. Take a hayride to the pumpkin patch where you can pick your own pumpkins or challenge yourself to the 2-acre corn maze. Other fall activities include a petting zoo and pick your own apples. Fall Weekends at Simmons Farm bring extras, such as food, balloons, fiddle music, pony rides, pumpkin carving, apple slingshot, and the Pumpkin Typhoon. Soergel Farms in Wexford hosts Fall Festival Weekends including apple festivals and pumpkin festivals. Other festival weekend activities include hayrides, pony rides, horse-drawn wagon rides, face painting, corn stalk maze, straw tunnel, pick-your-own pumpkins, balloon chase, the duck pond, and lots of great food and fun! Located 12 miles south of Pittsburgh on Route 88, Trax Farms has plenty of pumpkins to sort through at their farm market every day. On the weekends, the Trax Farms Fall Harvest Festival offers scenic hayrides, food booths, pony rides, a cornfield maze, kids activities, and fun for the whole family. Fall means pumpkin season at Triple B Farms located along the scenic Monongahela River 15 miles south of Pittsburgh. The farm market has piles of pumpkins in all shapes and sizes, plus painted pumpkins and fall decorations. Special fall activities are featured on weekday evenings and weekends as part of the Triple B Fall Pumpkin Festival, including Storybook Pumpkinland, hay rides, a romping rope maze, and the Big Blue Boo Barn. 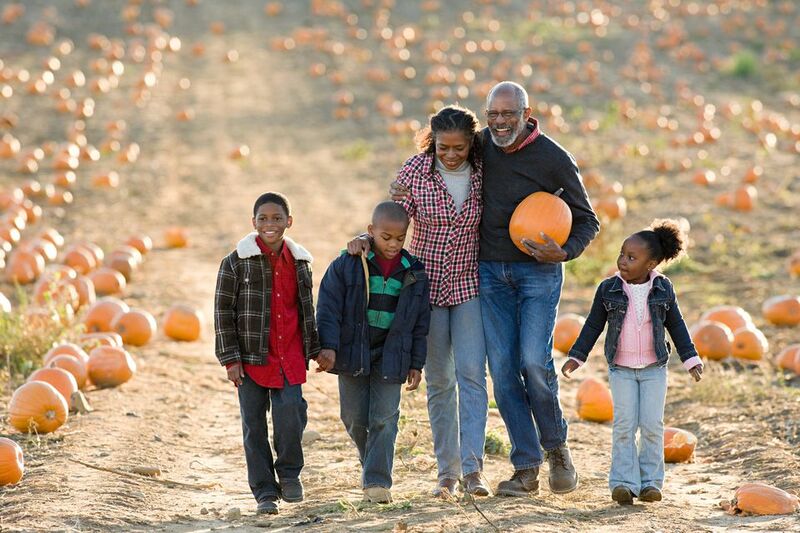 Jerry Port and family run a retail pumpkin market as part of their evergrowing farm operations. The fall Harvest Festival is open daily from mid-September through the month of October, with a tunnel slide, straw fort, corn mazes, a rope maze, hay wagon rides, Goatville, and plenty of pumpkins. Don't miss the Pumpkin Sling Shot! Located in Waterford, PA, south of Erie. Where else can you see buffalo while you're picking out your pumpkin? This buffalo farm located about 1/2 hour south of Erie has pumpkins, corn stalks, hay bales, and gourds for sale each fall. Wagon rides around the farm too!